Equity-based is the most secure forms for a fund raising model.It is a right way to seek funding without actually asking for money. So we have developed a new Crowd Investing Script is mainly used to raise money from different investors categories.Here the group of Investor can fund for small business in return for share equality. If the business makes profit, the value of the shares goes up, thereby helping the investor return on the investment.Once you will install our Equity Investing Script, user can register on the website with their respective mail id, name and password and list their equality offerings; and will be online after admin will approve. After log-in user can able to view profile, donation list, payment tracking, donor accounts etc. After that, the investor can visit the portal and invest in the equality offerings.You can use the script for technology, Entrainment, Healthcare, Commercial, software, energy and anything else what you want. This Crowd Investing Script can be used for all your crowding needs. Our Script has the attractive user interface, secure code so your funds raised are safe and secure. In the user dashboard, you are eligible to view the payment details, pending details and withdraw details of the funds.The user can view the recent funding campaign and search for a particular campaign via search button we integrate into the script. The admin dashboard has details about pending and blocked campaign and payment details of the campaign owner. Using Phpscriptsmall script will ensure a strong business presence I the global market. The features of our Equity Crowdfunding Software are advanced payment gateway, Invite friends, Responsive design, Social media integration, secure platform, campaign feedback, User management, Team management, CMS page, Campaign updates, Secure code, Investment management and so on.The Script is developed in PHP and Mysql. The code has been optimized according to rules and regulations of Google. S0 it is 100% safe from hackers and malware. The major advantage of our Equity Investing Script is SEO-friendly and Mobile responsive. We provide 1 year technical support, 6 month free update of the source code to our clients. After purchasing the software your website will go live within next 24 hours. Phpscriptsmall is the leading and professional software company offering the wide range of innovative software solutions to the clients with high quality and best price. 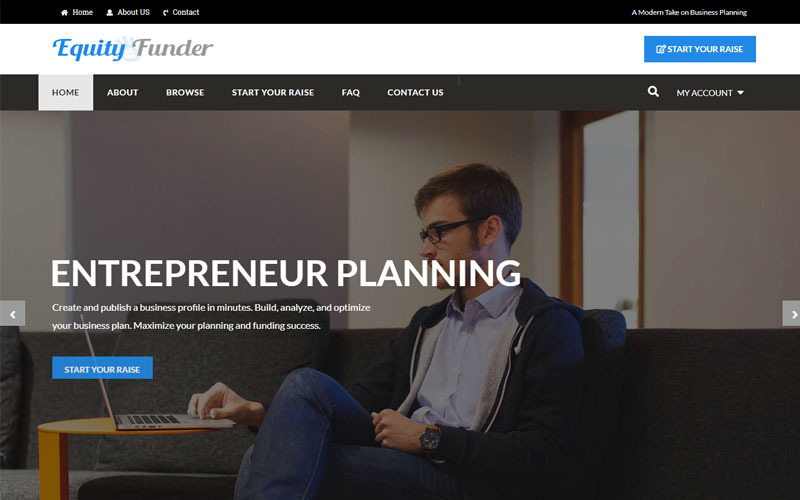 We are the right place to deliver best Equity Crowdfunding Software to the clients. Invite friends, Responsive design, Social media integration, secure platform, campaign feedback, User management, Team management, CMS page, Campaign updates, Secure code, Investment management and so on. We had a conversation about investing plans, business people are at cutting edge to explain the details and given appropriate suggestion. Chat support is buttery and respectable. My team suggest me to go with scripts mall product, I was blind to have script from the team. At last performance and website popularity is increased, well coded with search engine friendly structure. I was using the Equity Investing Script for past 8 months still I don’t find any errors or bugs towards the source code. Genuine price and valuable for the money.